Our Honda tire center is here to help you whether you want to buy new tires for your Honda Civic, fix a flat or need a tire rotation and balance. Our Honda service center near Selma, CA, has an expert team of Honda tire service technicians to take care of your vehicle and ensure it's ready for your next adventure. Browse our inventory of tires for sale if you want to buy new Honda tires, or speak with one of our service experts if you need tire repairs or maintenance. The tires on your vehicle are your direct connection with the road, so it's important that they're operating to their full potential at all times. Over time, the road can grind away at your tires, so we'll measure the tread to ensure your Honda Pilot or Accord is getting the traction it needs. Your tires can wear down unevenly over time, which is why routine tire rotations can equalize this wear and keep your vehicle operating reliably longer. Don't let your tires fall into disrepair -- schedule routine Honda service at our Fresno service center and keep your car or SUV on the road for many miles to come! How often should you rotate your tires on a Honda? Rotating the tires between front and rear a couple of times a year spreads out the burden so the tread can wear evenly. However, check your owner's manual to see if there is a recommended rotation scheme. During rotation, each tire and wheel is removed from your vehicle and moved to a different position to ensure that all tires wear evenly and last longer.Tires should be rotated every six months or 6,000 to 8,000 miles. Always follow the recommended guidelines from tire companies about how often you should rotate your tires, as the distances can vary based on the type of tire. However, it's important on front-wheel-drive cars to make sure that the front tires don't get too much wear and tear as they control the power from the engine, the steering, and 70-80% of the braking. Before winter or the wet season it's important to make sure these tires are ready, and a good way to do that is to get them rotated and inspected by one of our Clawson Honda technicians. There are a couple of tire rotation patterns, depending on your style of car and tires. The pattern of rotation depends on whether you have a front-wheel-drive car, if the tires are non-directional, if the tires are the same size, and if the car or truck is 4-wheel or all-wheel-drive. It can also be good to rotate the spare tire, assuming that it exactly matches the size and direction of the other four tires on the vehicle. Our service technicians at Clawson Honda will help find the right pattern for you and get you back on the road in no time! Rotating the tires on your car or truck is something you need to get done on a regular basis. We're here to help take care of that for you and get you back on the road as soon as possible. Whether it's before a road trip, or simply that time again, contact us to schedule your next tire rotation. 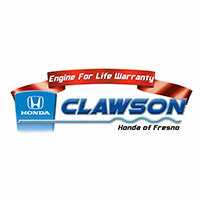 We look forward to seeing you at our Clawson Honda Service Center in Fresno.